Holistic drug and alcohol rehabs are designed to focus on the three areas of body, mind, and spirit. It is helpful to understand that anybody can call themselves a Holistic Treatment Center if they are focusing on those three things. Holistic rehab is not actually a method of treatment but is rather the focus on how to implement and use the applications. Most treatment centers lack in focusing on the whole package, the whole package being body, mind, and spirit. Body – Good exercise program and a healthy diet along with vitamin supplements would be an application of the holistic approach to the body. 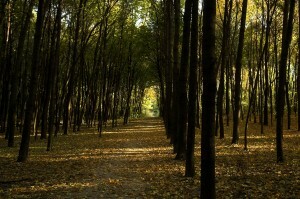 Mind – Learning coping mechanisms and tools for applications in dealing with life on life’s terms. An example could be the 12 steps of Alcoholics Anonymous or a cognitive approach to bettering your thought process. Sprit – Could be what you believe to be your belief in something more powerful than you or that works for you. This could be anything like believing in acupuncture, astrology, Christianity and so on. As long as you believe it to work for you this can be the spirit part of a holistic rehabilitation center. Because of the unfortunate decline in the success rates of traditional treatment centers, many people have turned to the holistic rehab approach. However many addiction treatment centers have just simply added a nutritionist and some yoga to the drug rehab program and then call themselves a holistic rehab. It is not to say that all have done that but several do. When looking for a truly holistic treatment center you should look over the whole program and determine for yourself if they are truly focusing on the body, mind, and spirit. Want to learn more about Holistic Drug Addiction Treatment? Another reason behind the success of the holistic drug rehab approach is the fact that they focus on the cause rather than the disease and its symptoms. Traditional drug rehabs make the mistake of focusing on symptoms to early while in detox and misdiagnosing things like depression. The drug abuser is most likely depressed, however, a holistic treatment approach is far more likely to determine if it is a direct cause of the drug use or if it is something else. Most drug addicts and alcoholics come in addiction treatment centers with symptoms of disorders, however, most of these are a result of abuse with drugs and alcohol and not an isolated underlying problem. A holistic rehab center gives people the best chance to determine this. If people can find a balance in life to keep all aspect of themselves in a healthy zone than they are more likely to feel better about themselves and therefore perform better. The Holistic approach to addiction treatment does just that. However, even if you were not an addicted person and you had a solid exercise program, you ate well, took vitamin supplements and had a spiritual connection with something, as well as worked on your personal issues, you most likely would be in a better place in life. 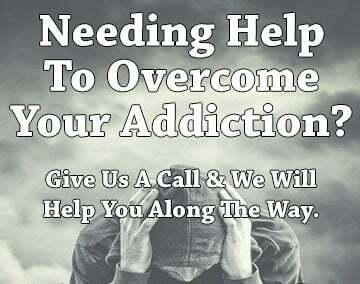 If you need any assistance with holistic drug and alcohol rehabs, give us a call and we’ll be more than happy to help!